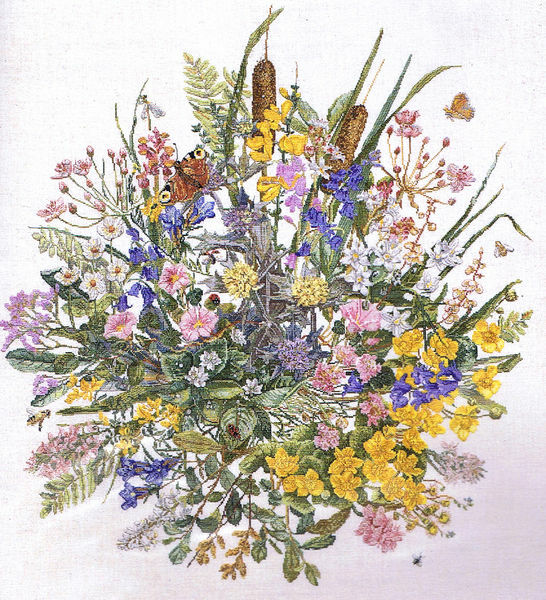 A stunning picture of a collection of endangered flowers from a watercolour painting. 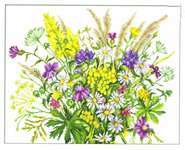 The kit gives details of all the flowers represented. The large scale black and white charts are printed 10 stitches to approximately 3 centimetres on 14 A3 sheets. The pattern is worked in 49 shades of stranded cottons in cross stitch and backstitch. The stitch count is 420 by 450. The kit comes in a clear plastic zipped bag with carrying handle. This large project requires experience and dedication.